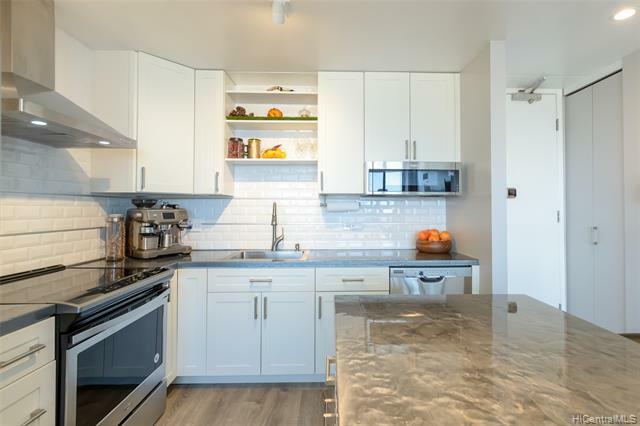 Italian inspired design with a unique artistic touch! 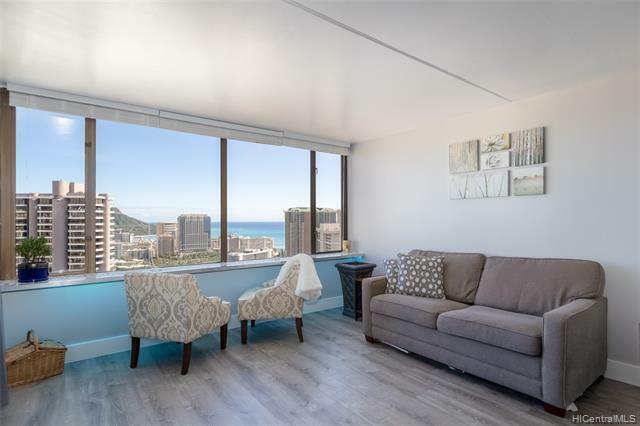 Absolutely beautifully renovated unit with stunning views (Diamond Head, Koko Head, ocean, Ala Wai, park, and Friday night fireworks!!). 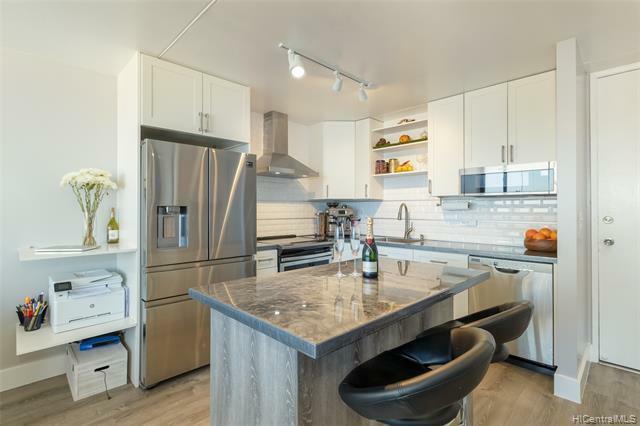 TWO PARKING stalls (tandem); All new kitchen, new bath, new stainless steel appliances, new washer/dryer, new flooring (luxury vinyl), new paint, his & hers bathroom vanities, LED mood lighting, and so much more! 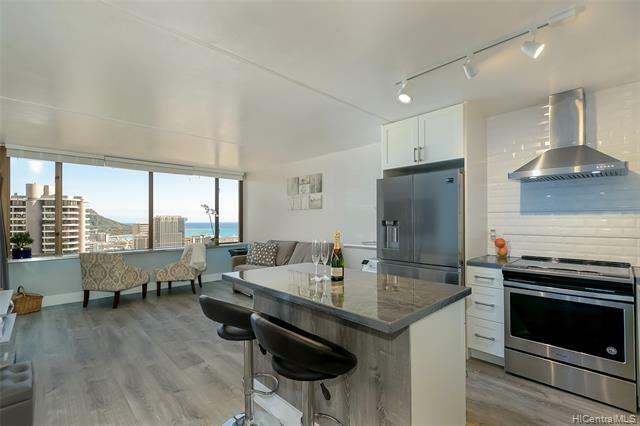 All information is deemed reliable, however must be verified by buyer before close of escrow.